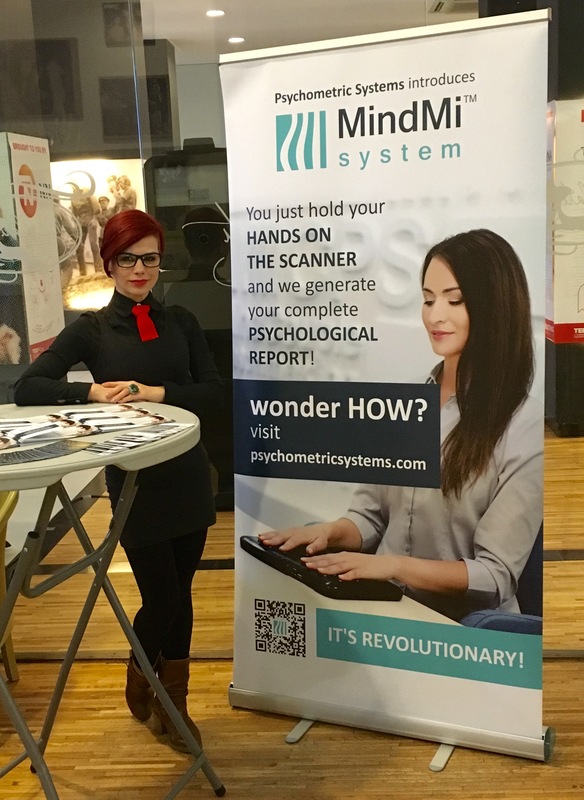 On the 20th of February 2016, during the TEDx Cluj-Napoca conference, Psychometric Systems exhibited the MindMi™ concept – an unbiased psychological assessement system, in the „Innovation & Tech” products area. This year’s edition motto was „Fear is the mind killer, but Science is the mind liberator” and based and on the fact that Science is an activity area that is always improving, the main purpose of this edition was to bust several myths. Participants had the chance to test various prototype systems, created by Romanian inventors and they could also talk to them about all the technical aspects related to the exhibited products. In this context, the Psychometric Systems representatives got the participants used to some of the most important characteristics of the MindMi™ System. Among the essential technical details of the system, it is worth mentioning that MindMiTM provides unbiased psychological information and the assessment process itself is made in a very short time. Everyone who was interested had the chance of discovering more details about the main advantages brought by the MindMi™ System during recruitment processes. This product is dedicated mostly to psychologists and Human Resources specialists, who use group or individual psychological assessment methods. The scanner is equipped with monopolar electrodes that quickly measure biopotentials from the skin surface, collecting a set of unbiased psychophysiological data about the examinee. These data are going through an innovative algorithmic procedure. The algorithm combines multiple variables of key relevance for their corresponding personality traits (e.g. the amplitude, the lability of the electrodermal response, the level of cortical arousal, and others). This core set of variables goes through a cybernetic modelling process, resulting in a numerous set of psychological indicators that reflect cognitive, emotional and social abilities, but also specific aptitudes and tendencies. Another important aspect of the MindMi™ system is its easy nature, users being able to obtain extensive psychological reports (e.g. the Interpersonal Compatibility Report or the Report of Emotional Intelligence Potential) through a web platform.